Given my hair is naturally a wild frizzy bush of uncontrollable curls, I’m always open to new products which could help to tame my tresses. 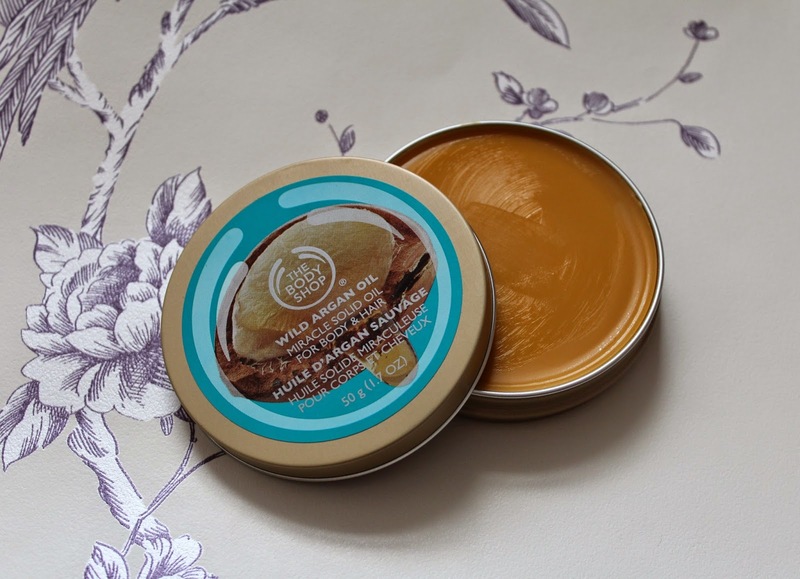 Last week The Body Shop launched their Wild Argan Oil range, designed to target dry areas of the body. I was intrigued by their Miracle Solid Oil for Body & Hair which is 70% solid oil – how could one product target both hair and body?! I’ll admit it looks a little daunting, like a solid version of Vaseline, so not too appealing to put on your hair. I let my hair part-dry before rubbing a small amount on my ends and lengths. It’s hard to get much on your fingers due to the consistency but a little goes a LONG way, a lesson I learned the hard way (think 90s boyband slick). It made my hair feel really soft and helped tame it in the joyful August weather we’ve been experiencing in the south. What’s your opinion on the Wild Argan Oil range?